Navier-Stokes solvers are complicated programs. Using them properly requires knowledge and skills. Also, the user has to prepare the input to the solver, that is, first and foremost, the geometry of the boundaries of the flow. In many cases this task is done using additional specialised software. What, however, if all one wants is just a movie of the flow, and all one has as an input is the picture of the body, the flow past which needs to be visualised? Flow Illustrator is the answer to this. Its first version, an online server, allows the user to upload the picture, adjust a few parameters if desired, and receive a movie of the flow past it. Figures 1, 2, and 3 illustrate the sequence. Fig.1. 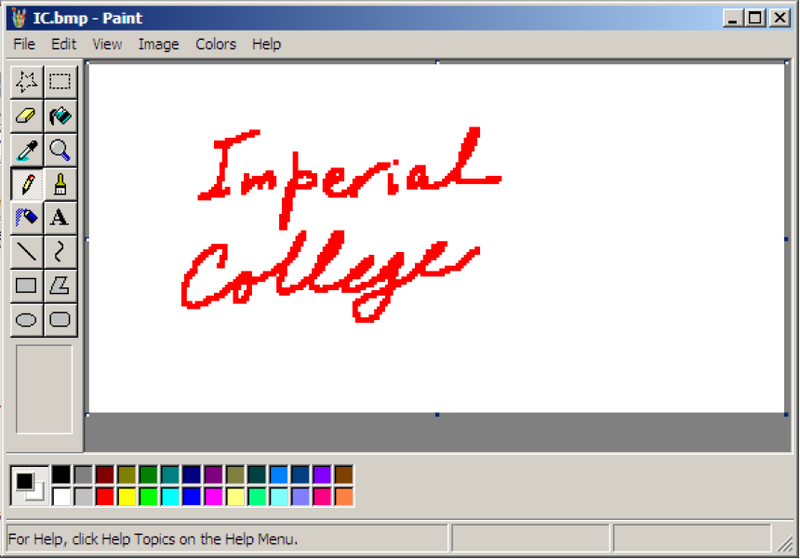 Draw a picture in Paint and save it. Fig.2. 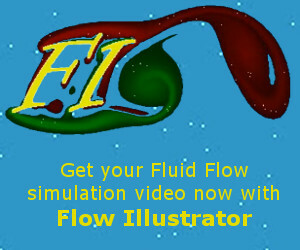 Click on the figure, which is a link to the Flow Illustrator server. Proceed to "Try it" section. Upload your file, adjust parameters, and run the calculation. Fig.3. Once ready, download the movie and watch it. This project is a mixture of entertainment, education, public engagement, and research into human-computer interaction. For teaching purposes a stand-alone version, an Interactive Flow Illustrator, was developed in 2011-2012 under the Imperial College London Faculty of Engineering-Enabled Project Interactive Flow Illustrator (Principal Investigators Profs.S.Chernyshenko and S. Eisenbach). Interactive Flow Illustrator works on the computer of the user and shows the flow visualisation in real time on the screen rather than recording a movie. The Reynolds number and the movie speed can be adjusted on the go. Attempts were also made of using a video camera as a source of the input image in real time. In the future the technology of using images as the input format might find other applications.